INGREDIENTS: Precooked Noodles: Durum Semolina, Whole Eggs, and Salt. 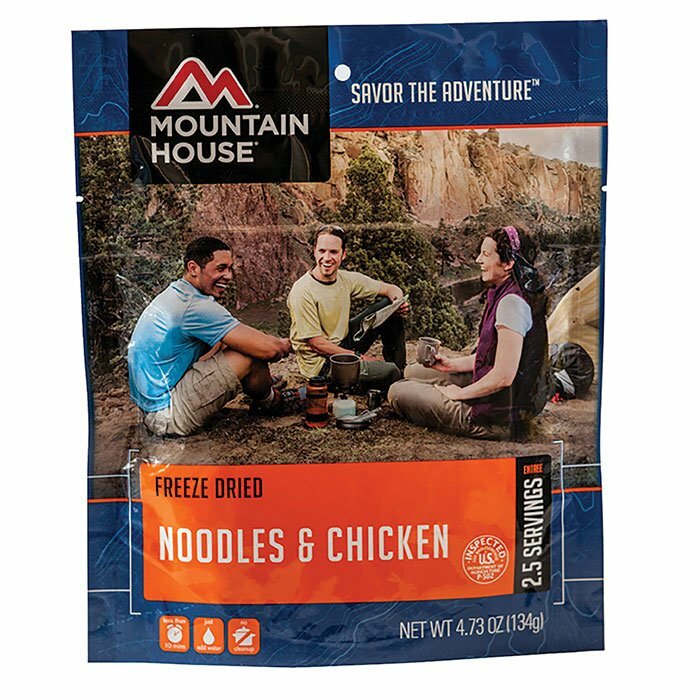 Noodles & Chicken Sauce: Cooked Chicken, Sweet Red Peppers, Modified Corn Starch, Chicken Fat, and Contains 2% or Less of: Sugar, Chicken Base (chicken including natural chicken juice, maltodextrin, dried whey), Hydrolyzed Vegetable Protein (corn soy, wheat gluten, and soybean oil), Salt, Flavoring (autolyzed yeast extract, safflower oil, natural flavor), Onion Powder, Spices, Turmeric (color). CONTAINS: Wheat, Egg, Milk, Soy.